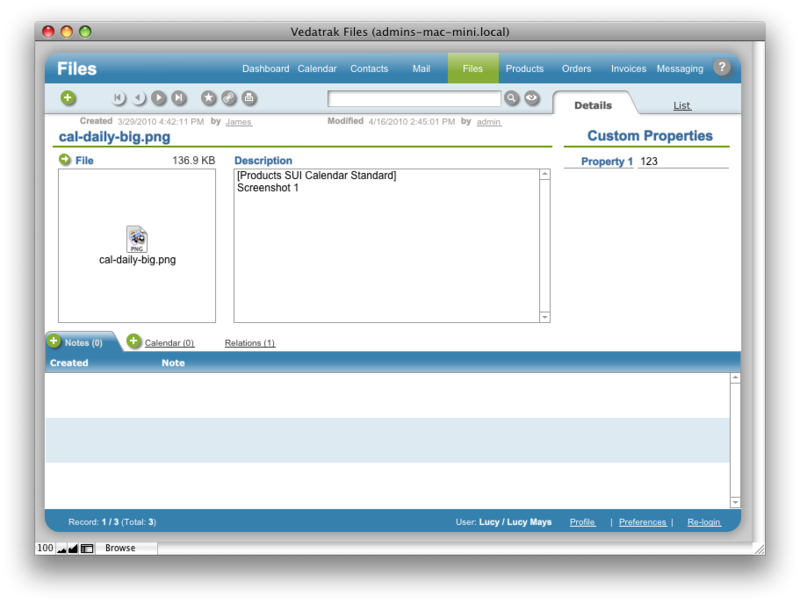 Files Detail View allows users to view and edit properties for the selected file. The File box displays the file icon and size. Enter the file description in the Description field.